Here are five ways to create a space that visitors won't want to leave. 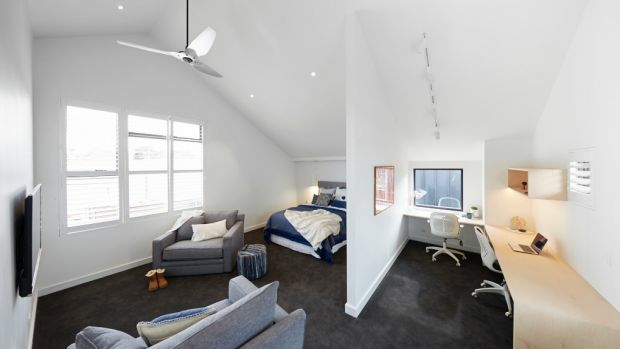 On week two of The Block, the contestants tackled guest bedrooms, and most were designed to be multifunctional. Guest bedrooms will not be occupied all of the time, so inclusions such as study nooks or a library will make the spaces more versatile. When designing a guest bedroom, one of the first questions Make Architecture director Mel Bright asks clients is how often guests will use the space. “We always want to know how we can make a space work a bit harder, where we can overlap,” she says. “So we ask whether clients need a study, a second living room, or a kids’ playroom? This doubling-up of resources helps with both costs and sustainability, adds Bright, and with new extensions or builds may result in more outdoor space. Hiding a bed in a fold-down joinery unit or a fold-out sofa bed instantly creates more room for any other activity you plan for the guest bedroom. Sofa beds have come a long way in recent years, according to Koush Furniture + Interiors director Julie Pieda. There’s a growing range of wall-beds on the market, with basic units starting at $1000 and custom designs selling upwards of $4000. One of Bright’s favourite outcomes involves the guest room becoming an extension of the living room. Instead of a door, a sliding door, panels or bi-folds opens the guest room to the living zone, and can be closed off when required. 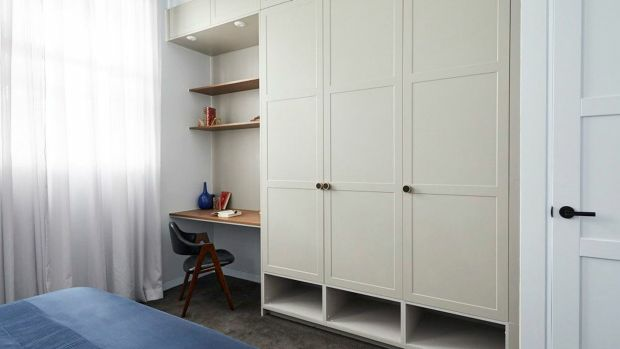 Adding a desk in a guest bedroom is a quick and easy way to create a study zone, but a better solution could be custom joinery that works for both you and your guests. Pieda designed a wall unit for Adelaide clients that incorporated a workstation, storage for office supplies and a printer, plus wardrobe space for guests. Pieda says it’s important to be able to ignore the office function when you or your guests want to relax. For those with young children, it’s great to have a dedicated space where they can haul out their toys, do craft and set up an indoor cubby. While you’ll want to clear this paraphernalia away when guests come, Pieda advises against cupboard storage, where treasured toys can get lost. She’s a fan of drawers and buckets or baskets that can be upended when kids are playing and quickly reloaded when visitors arrive. If you’ve got a wall bed, Pieda says the base of the bed can double as a blackboard or magnetic board when the bed is stored. And for homeowners with high ceilings, a loft level can be a great option for a playspace. 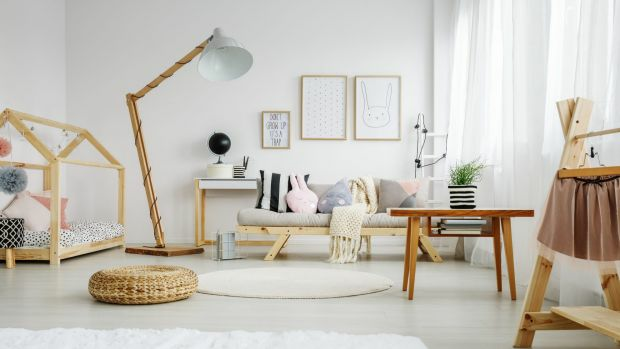 “Just make sure the space underneath gets plenty of light because you want both spaces to be equally nice to be in,” says Pieda. If you decide to include a TV, position it so guests can easily view it propped up in bed. Bright is an advocate of removing the guest bedroom from the main residence and installing it instead above or next to the garage or creating a dedicated studio. Bright says this separate space makes a fantastic teenager retreat and can be rented out once the kids leave home.